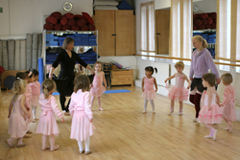 Since Southwest School of Ballet first opened in Putney in 1993, its passion for dance and love for children has led to the development of unique and inspiring classes, the success of which is reflected in the growth and popularity of the school. Southwest School of Ballet offers classes for all children aged from 2½ to 18 years, as well as RAD Intermediate, Pointe and Adult classes. 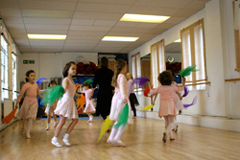 Classes are held throughout the week and on Saturdays at several different locations in Putney and Barnes/East Sheen. Unlike some other schools and businesses which only provide classes for selective younger age groups, Southwest School of Ballet is fully committed to providing a continuing and progressive education in ballet to all our pupils for as long as they wish to remain with us. It is our policy to provide high quality ballet classes, to promote a love of dance in an imaginative and stimulating environment and to nurture and encourage all our students to fulfill their potential. Our teachers are carefully selected not only for their excellent teaching skills and their own ability to dance but also for their instinctive rapport with and love of children. As the development of musicality is such an important part of early dance training, all our children’s classes are accompanied by accomplished and experienced pianists. In addition to weekly classes and Royal Academy of Dance examinations, Southwest School of Ballet provides its members with performance opportunities and has produced five original, full length ballets. With over twenty years of experience and local knowledge in providing quality ballet classes to members of the local community at very competitive prices, Southwest School of Ballet also provides teachers and pianists to a select number of local independent and nursery schools.